"Communism is neither a trend of thought, nor a doctrine, nor a failed attempt at a new way of ordering human affairs. Instead, it should be understood as a devil—an evil specter forged by hate, degeneracy, and other elemental forces in the universe. It took the form of a serpent, then that of a red dragon, and it keeps company with Satan, who hates God. It exploits low-level beings and demons to wreak havoc on man. 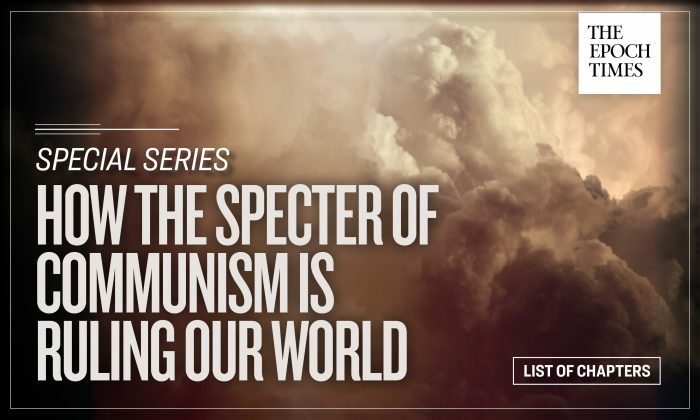 The goal of the specter is to ruin humanity, and while the divine offers salvation to humankind, communism tells man not to believe, attacks human morality so as to renounce tradition, and causes man not to heed God’s instruction and, ultimately, to be destroyed." "...and then there are the nations of Europe and North America, whose body politics have become host to communist influences, without people even realizing it." "The devil’s scheme to destroy humanity has been in the works for centuries. Its arrangements manifest in the labyrinth of social affairs, from mass movements to governing elites, around the world and across history, working ceaselessly to ensnare and eliminate man." I m not a communist but you can say the same thing about capitalism and globalization..